Oversized for unisex fit and lined with premium silky satin for the smoothest feel. 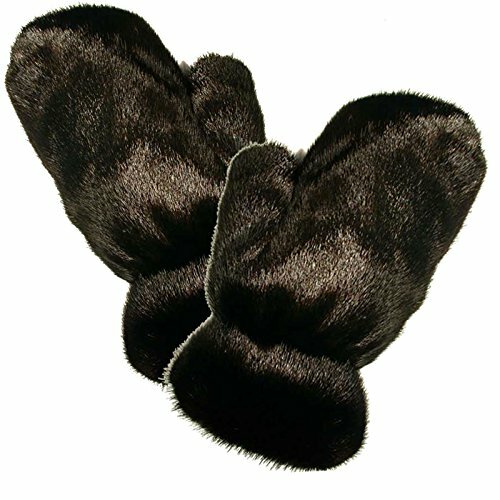 Pictures show gloves in different styles from Chinchilla, Fox, Mink, Rabbit or Rex Rabbit on the outside while the massager's hand nestles inside Rabbit, Rex Rabbit or Mink. Comes as a single glove piece (not pair). The Ultimate Gift for Anniversaries, Weddings, Birthdays, Holidays, and Valentine's Day! Our packaging makes a gorgeous presentation. Soft fur is protected in a beautiful presentation bag slipped into a plain envelope. Return address simply states "MG". No need to worry shipping to your office or ruining the surprise. If you have any questions about this product by MinkgLove, contact us by completing and submitting the form below. If you are looking for a specif part number, please include it with your message.